We have information you must know before you buy the F-TYPE. The new 2020 F-TYPE lineup is rolling into dealerships with higher prices, starting at $62,625 MSRP for the base four-cylinder P300 coupe, which is about $880 more than the 2019. Manual transmission is no longer an available option on any trim. Meanwhile, the 2019 F-TYPE lineup is still available at dealerships nationwide with better pricing and the last available manual transmission variants. The 2019s also feature better incentives this month, making these your best value this month by far. Current offers, including your choice of a great lease, zero-interest financing, or a customer cash rebate, are available nationally and run through April 30, 2019. Heads up: Rumor has it that a full redesign is planned for 2021, and Jaguar may introduce an electric variant at that time. 2019 i4 and V6 trims are eligible for $5,000 (previously $2,000) in customer cash, and 2019 V8 models get a whopping $8,000 (previously $4,000) right now. Unfortunately, these offers cannot be combined with promotional finance rates listed below. 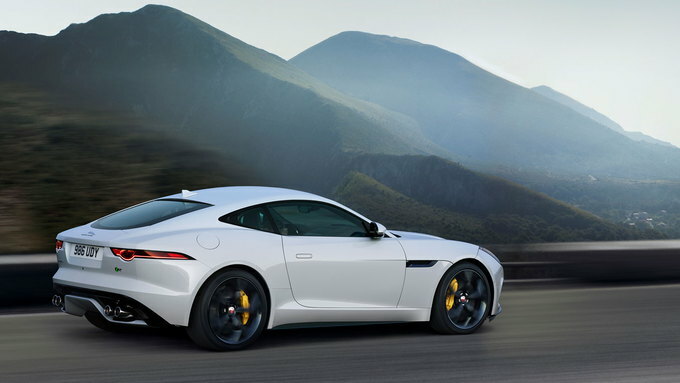 Promotional lease rates for 2019 models start at $499 (previously $489) per month for 36 months with $4,995 due at signing for a 2019 F-TYPE 2.0L 296HP Coupe (30,000-mile allowance). This is still a fantastic value. Jaguar is offering 0% APR financing for 60 months on the 2019s. Unfortunately, this promotion cannot be combined with the customer cash rebates currently available on 2019 V6, V8, and i4 trims. For the new 2020s, rates start at 2.9% APR for 60 months. Promotional APR Offer Promotional APR programs available for qualified buyers. Please check with your CarsDirect Trusted Dealer for complete details.%NotesManuf% %Eligibility% Residents residing in qualifying regions of the United States. Available through JLRFG/Chase Financing only. No markup allowed. EligibilityResidents residing in qualifying regions of the United States. Available through JLRFG/Chase Financing only. No markup allowed. A raw and unequivocal sports car has the rare ability to awaken the senses with the abruptness of a morning alarm. Such an automobile is pure extravagance; it pushes aside any thoughts of sensibility or practicality for the gusty winds of carefree living. These type of cars exist in their own exclusive stratosphere, often way beyond the realm of affordability. The 2019 Jaguar F-Type, though, defies this. It's a rare sweet spot, combining unparalleled beauty and brawn with a starting price tag that's within reach of the upper middle-class. There are no significant changes for 2019. 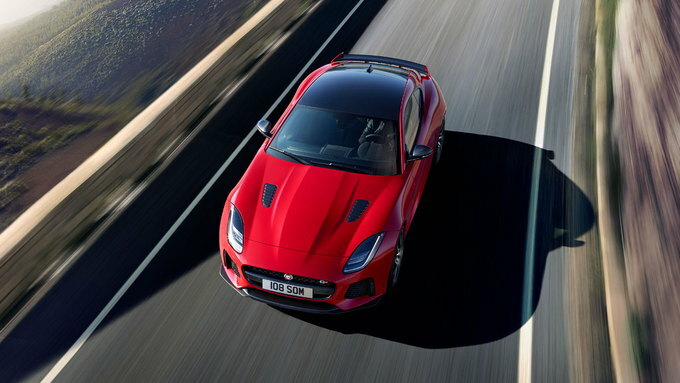 At first glance, the F-Type's long hood and svelte proportions seem to all but guarantee that there's some illustrious and exotic powertrain hidden beneath the sheetmetal. As it turns out, that's true – most of the time. 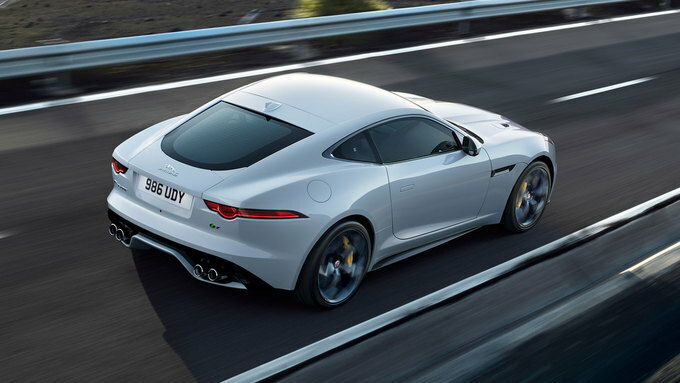 In an effort to drum up a few more sales and make the car a bit more attainable, the Jaguar folks offer the base F-Type with a 2.0-liter turbocharged four-cylinder engine. Despite being the "loss-leader" engine, it manages to pump out an impressive 296 horsepower and 295 pound-feet of torque, and can do the zero-to-60 mph dance in 5.4 seconds. Power is sent back to the rear wheels via an eight-speed automatic transmission. If you demand a manual shift in your sports car, Jaguar offers a six-speed with the available 3.0-liter supercharged V6. This motor makes either 340 or 380 hp depending on the tune; the 340-horse version does zero-to-60 in five seconds flat, while the 380-hp variant cuts that down to 4.8 seconds. If shifting for yourself isn't your thing, the eight-speed automatic is again available. For maximum power, go for the 5.0-liter supercharged V8, which is only available in the top-dog R and SVR models. With 550 hp for the R and 575 in SVR spec, this is a bona-fide hot-rod Jaguar. Unlike the lower-spec cars, the V8-powered cars are only offered with all-wheel drive. The prodigious power and added grip make the zero-to-60 mph run something that can be completed in just 3.5 seconds. Top speed is 200 mph. Having this kind of firepower under the hood demands a stringent safety net in case things go south. To that end, all F-Types are equipped with safety features such as automatic emergency braking, lane departure warning, traffic sign recognition, rear parking aid, and a driver condition monitor. Additional safety features like a front parking aid ($285), park assist ($510), and blind-spot monitoring with rear cross-traffic alert ($500) are optional. With the F-Type, the best soundtrack is the bellow coming from that active exhaust, but if you're looking to play your own tunes all models utilize a Meridian 10-speaker/380-watt sound system. A 12-speaker/770-watt Meridian sound system is available across the board for $770. 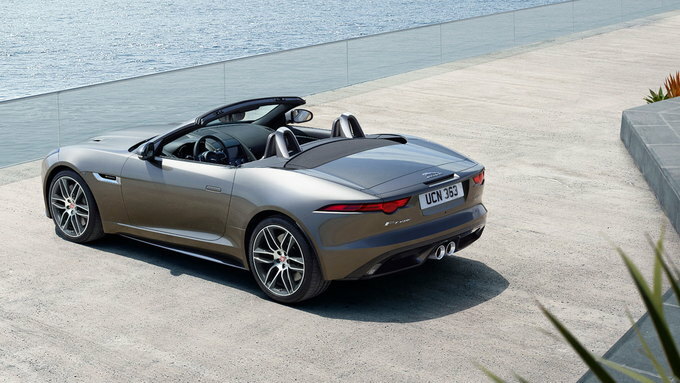 The F-Type is available as a convertible as well. The soft-top is available in every trim and costs an additional $3,100 over the equivalent hardtop variant. The standard F-Type is powered by the 2.0-liter four-cylinder and has a starting price of $61,745 (including a $995 destination charge). All base models include brake-induced torque vectoring, start-stop functionality, multiple drive modes, and column-mounted paddle shifters. Inside, buyers get 12-way power seats, power-adjustable steering column with memory, a five-inch driver information cluster, a 10-inch touchscreen with navigation, a 380-watt Meridian sound system, and SiriusXM radio. A number of options are available. These include the $225 LED headlights with auto high-beam assist, $1,635 Windsor leather upholstery, $105 flat-bottomed steering wheel, and a $765 Carbon Fiber center console. A Black Exterior Package costs $1,020 includes black hood louvers, grille, fender vents, window surround, front splitter, and rear valance; it can be complemented by the $310 Black Interior Package that comes with black air vents, black instrument cluster trim rings, and a black flat-bottomed steering wheel. A $1,380 Climate Package bundles a heated windshield, heated seats, heated washer jets, and dual-zone climate control. Lastly, a $2,245 Windsor Leather Package dresses things up with a leather headliner and leather sunvisors. For buyers looking to step up the Supercharged V6, prices start at $69,745 for a 340-hp, manual transmission model. The automatic variant is another $1,300. 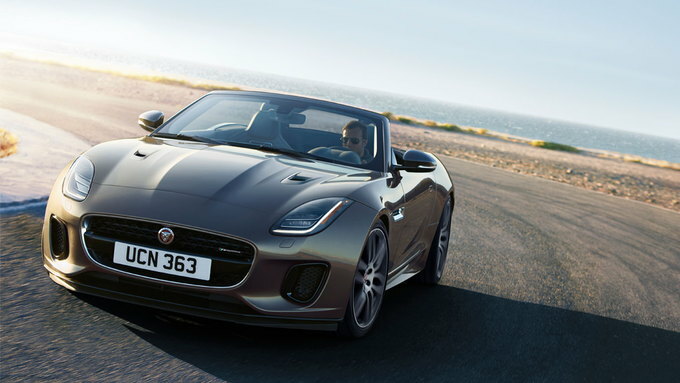 For $84,345 buyers can get a base F-Type with all-wheel drive, the 380-horse V6, and an automatic transmission; this is the only way to get all-whel drive on a base F-Type. Regardless of transmission or drivetrain, all V6 base models offer the same standard and optional equipment as the four cylinder. Step up from the base model and you'll be getting comfortable in the $83,045 R-Dynamic. It comes standard with the 380-hp, 3.0-liter supercharged V6 and is hooked to a manual transmission. Additional standard features over the base model include 20-inch wheels, switchable active exhaust, an adaptive suspension, and a limited-slip differential. A wide variety of options and packages are available for the R-Dynamic. The Interior and Exterior Black Packages return, as do the Leather Package and Climate Package. Buyers can also get the $3,570 Exterior Design Package, which brings body-color side sills, rear venturi, and an aerodynamic splitter. The Exterior Black Design Package ($4,185) contains the contents of the Exterior Design Package but adds black side sills, rear venturi, and an aerodynamic splitter. A Exterior Carbon Fiber Package ($4,080) contains carbon-fiber hood louvers, fender vents, and mirror caps, body-color side sills, rear venturi, and an aerodynamic splitter, and black grille and window surround. A Suedecloth Upper Environment Package (who named that one?) brings a suede headliner and sunvisors with vanity mirrors for $970. Lastly, the Configurable Dynamic Mode is $565 and gives buyers the ability to customize the driving settings of their car, allowing fine-tuned calibration of the throttle and transmission shift points, steering weighting, and damper response. An automatic transmission costs an additional $300. An AWD variant is automatic-only and runs for $87,345. The big guns come out with the V8-powered, $101,745 R. Besides the big 5.0-supercharged V8, buyers of the R get AWD, an automatic transmission, quad outboard exhaust pipes, an electronic active differential, and the configurable dynamic mode. There's also goodies like bespoke 20-inch wheels, keyless entry, Windsor leather, configurable ambient interior lighting, R-branded sport seats and steering wheel, and auto-dimming exterior mirrors. Available packages closely mirror those on the R-Dynamic. Exclusive to the R is the optional $12,240 Carbon Ceramic Brake Package and the $1,635 Climate Package 2. The latter is the same as Climate Package 1 but adds ventilated seats, while the former brings massive 15.7-inch front/15-inch rear carbon-ceramic brakes with bright yellow calipers, all hidden behind special five-spoke, 20-inch wheels. For $123,745, you can own the big kahuna of F-Types: the almighty SVR. 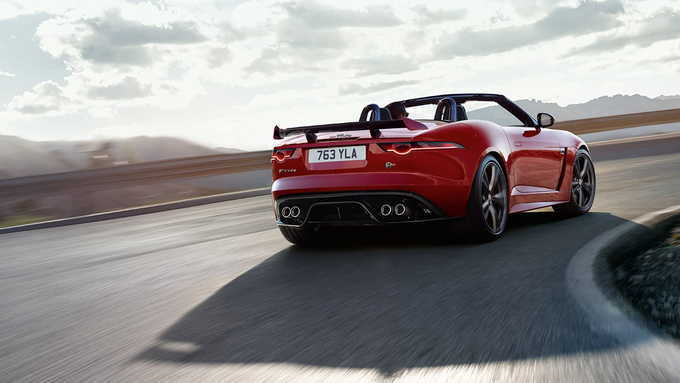 With the 575-hp V8, it's the ultimate F-Type when it comes to power and hustle. Standard features include lightweight titanium exhaust, redesigned aerodynamics, carbon-fiber rear wing, quilted Windsor leather, SVR performance seats, and a front parking aid. As for options, the Leather Package, Climate Package 2, and Carbon Ceramic Brake Packages all return to the ordering sheet. The only package exclusive to the SVR is the Carbon Fiber SVR Package, which brings carbon-fiber hood louvers, mirror caps, front splitter, and rear venturi, as well as carbon ingot fender vents. The V8 models are powerful, sonorous machines, but with six-figure price tags they are hard to justify. Our favorite of the 2019 Jaguar F-Type litter is the 340-hp V6, manual-transmission, base-model. With a starting price that sneaks in under $70,000, it's a strong value for the level of performance, engagement, and standard equipment that comes along with it. Since its debut in 2014, the Jaguar F-Type has been a go-to alternative to pricey Porsche and Aston Martin models. 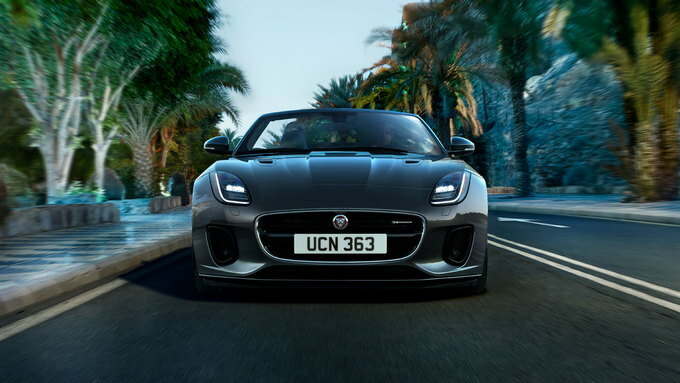 The 2019 Jaguar F-Type is better than ever with its range of powertrain options and slick balance of curve-hugging performance and ride quality. Can this sports car really hang with the best in its class? Continue reading to find out. The F-Type has something for everyone. Its P300 trim comes standard with a 296-horsepower four-cylinder engine that delivers a balance of efficiency and power. Moving upward, there are two 3.0-liter V6 models that produce 340 and 380 horsepower, hence their respective P340 and P380 names. 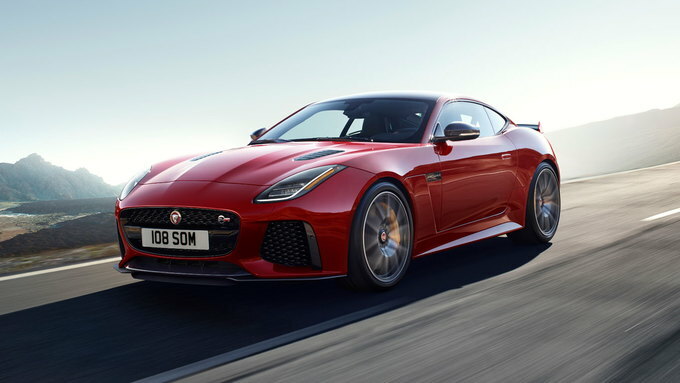 From there, Jag scraps the perfectly logical “P” naming system by ushering in two 5.0-liter supercharged V8 options: a 550-hp F-Type R and 575-hp F-Type SVR. With so many engines and trims to choose from, it’s understandable if you get a little woozy when wading through the 2019 Jaguar F-Type’s buyer’s guide. 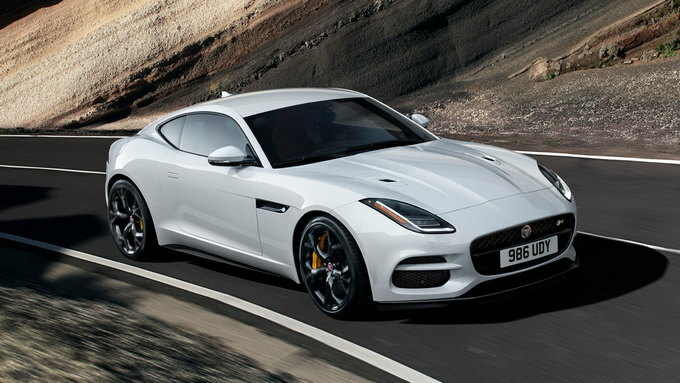 But if you’re looking for the perfect balance of power and value, you cannot go wrong with the F-Type P340. It comes standard with the 340-hp V6 engine, a 38-watt audio system, power front seats with memory, a rearview camera, LED headlights, 19-inch alloy wheels, a Dynamic drive mode, a limited-slip differential, and more. No matter what direction you go with the powertrain – base four-cylinder, snarling supercharged V8, or one of the V6 options – the Jaguar F-Type is a legit performer. The base four-pot is quick enough at 5.4 seconds to 60 mph, but things only get better as you move up the powertrain ladder. The P340 hits 60 mph in as quick as 5.1 seconds, and the P380 does the same sprint in 4.8 seconds. The R and SVR models are true Porsche 911 alternatives with their respective V8 engines pushing the F-Type to 60 mph in as little as 3.9 and 3.5 seconds, respectively. The balancing act of handing and ride quality is also on point from the P300 trim all the way to the SVR, but the SVR feels more at home on an autocross track than in bumper-to-bumper rush-hour traffic. While it performs well, the P300 model’s fake engine noise and invasive-sounding four-cylinder engine sound out of place in a British sports car. Also, Jaguar penalizes R and SVR buyers by forcing them into the eight-speed automatic transmission and all-wheel drive. The Jaguar F-Type’s classic styling is eye-grabbing with its long nose, fender-slicing headlights, and wraparound taillights. While the retro-inspired exterior is great, the interior scraps this in favor of modern features and trim crafted from carbon-fiber or aluminum. No high-gloss wood trim here. The front seats are surprisingly supporting, considering your practically dragging your backside on the pavement. Unfortunately, though, enjoying the F-Type is a two-person affair with its lack of even the smallest rear seats. On paper, the F-Type seems like a decent luggage-hauling coupe with its 14.4-cubic-foot trunk, but its odd shape makes it seem much smaller. Add the optional convertible top, and the trunk capacity plummets to 7.3 cubes. The 2019 Jaguar F-Type’s performance is great, but we expected that. What really shines is how Jaguar successfully combined the classic sports car body with a modern interior. 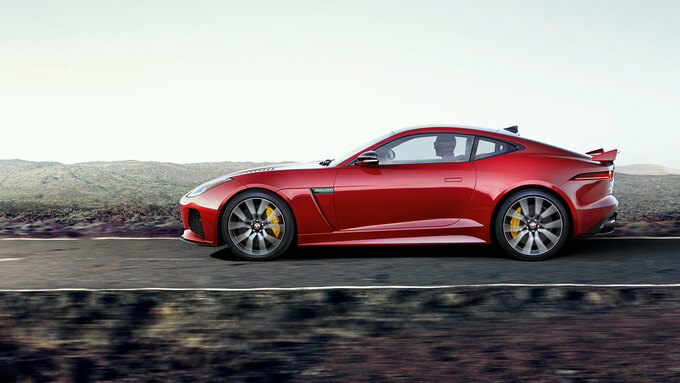 Jaguar kills some of the sports car fun by making all-wheel drive and an automatic transmission compulsory on the R and SVR models. There are plenty of buyers would prefer the analog feel of rear-wheel drive and a manual gearbox. The 2019 Jaguar F-Type is perfect for buyers looking for a year-round sports car. With its dizzying list of powertrain options and available all-wheel drive, it has something for everyone. Heck, it can even handle winter with the right tires. If you want a true 911 killer, you’d better bring your big-boy wallet. 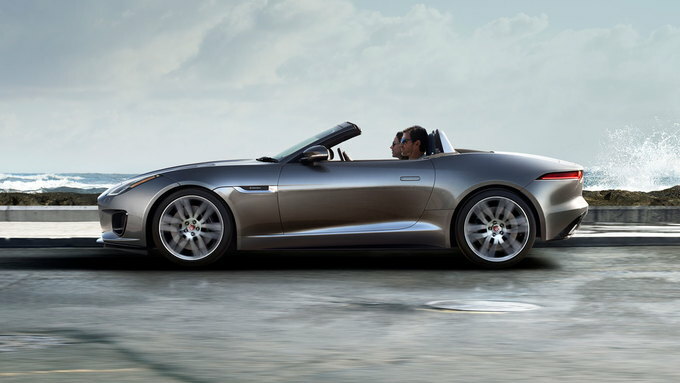 The only F-Types that can legitimately pull this off are the outrageously priced R and SVR models. The 2019 Jaguar F-Type may be the most balanced sports car on the market today. It displays amazing cornering without shaking your intestines loose and has just the right dose of power for all buyers. But your dreams of putting a track-day beat down on your buddy’s Porsche 911 may be just that: dreams. We have partnered with trusted dealers in your area to give you a great price on the new Jaguar F-TYPE.